Decay of surface plasmons into hot electrons leads to highly localized transformations of molecules facilitating binding of appropriately functionalized gold colloids. (Prof Stefan Maier). Designer photonic modes in dielectric nanostructures enable vast enhancement of nonlinear light interactions. (Prof Stefan Maier). 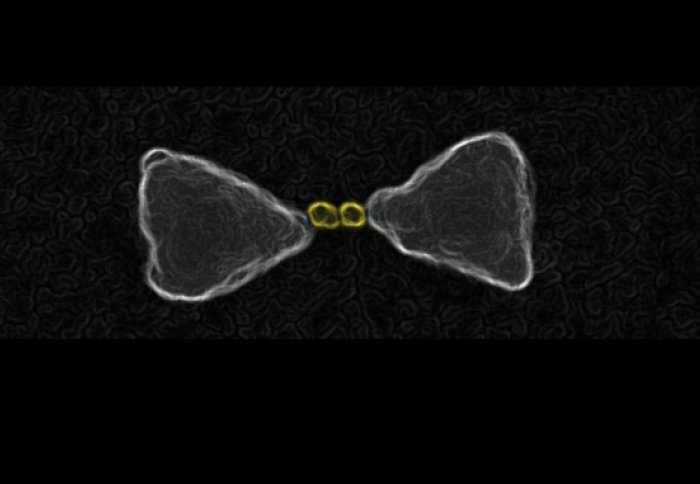 Plasmon-induced molecular transformation allow controlled placement of gold colloids on silver bow tie antennas. (Prof Stefan Maier). Artistic representation of single electron plasmon in a topological insulator nanoparticle (Nat. Comm. 7, 12375, 2016). (Dr Vincenzo Giannini). 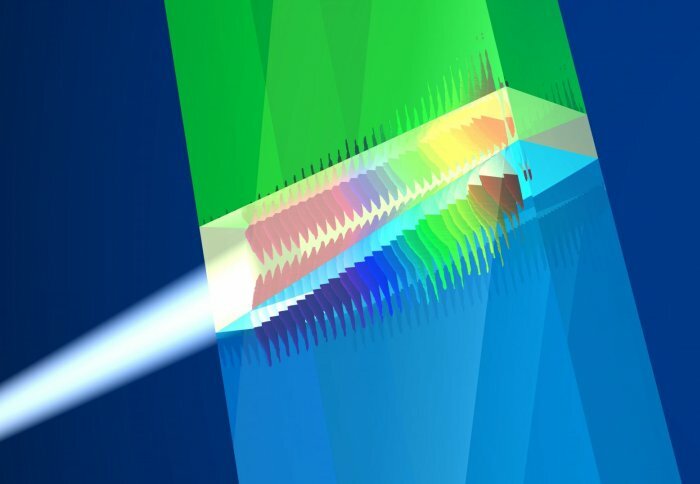 Surface plasmon polariton fields (IEEE (Invited Paper) 104, 12, pp 2307-2322, 2016). (Dr Vincenzo Giannini).